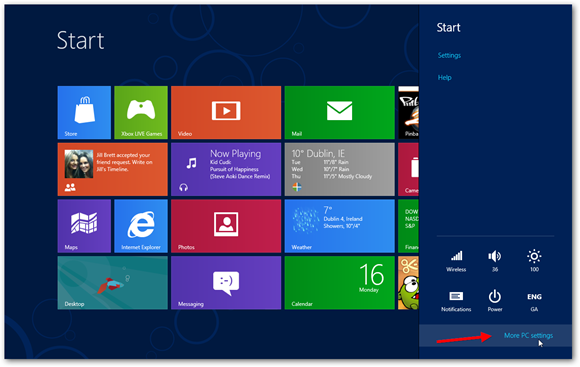 Windows 8 brings with it a completely new user experience thanks to the Metro UI. With this new UI also comes new opportunities for us all to customize and personalize Windows 8 to our liking. We now have the option to customize the metro UI and the traditional Windows desktop independently. 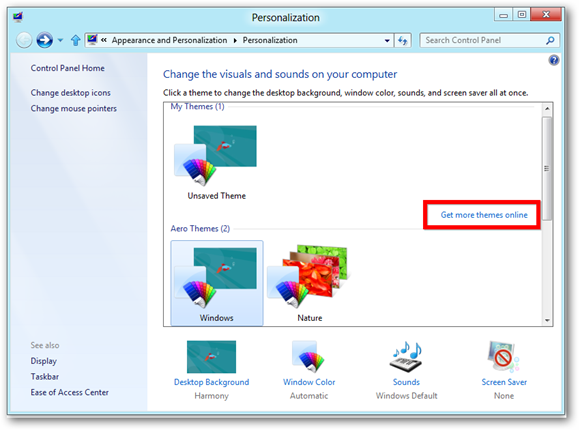 The following guide will give you a complete walkthrough of all the different ways you can personalize Windows 8. 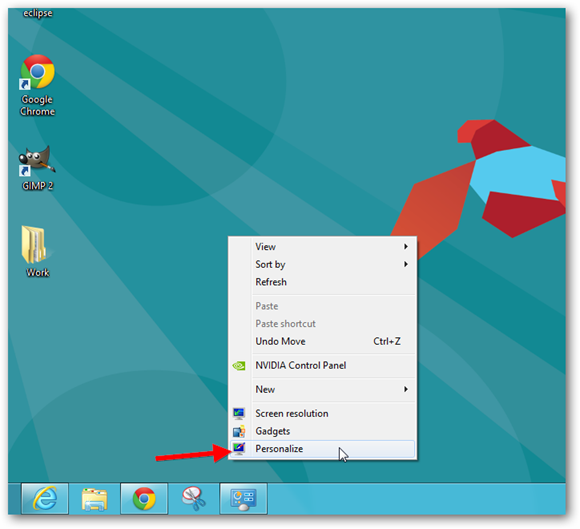 If you haven’t installed it already, you can dual boot Windows 8 with Windows 7 or you can install Windows 8 in Virtual Box and give it a trial run. 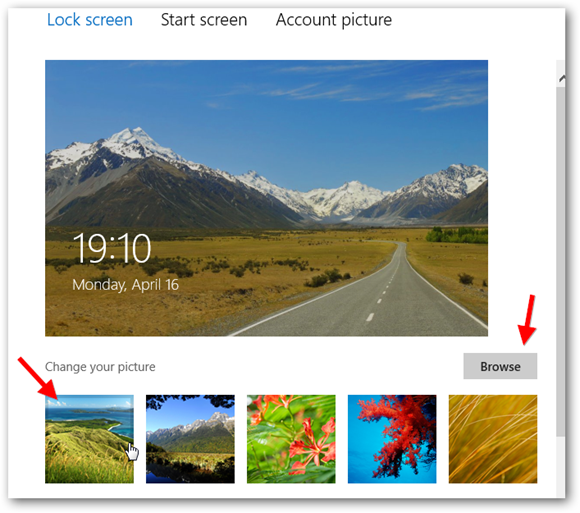 Personalizing the lock screen is probably the first thing that you’ll want to do with your Windows 8 PC. Here’s how you do it. 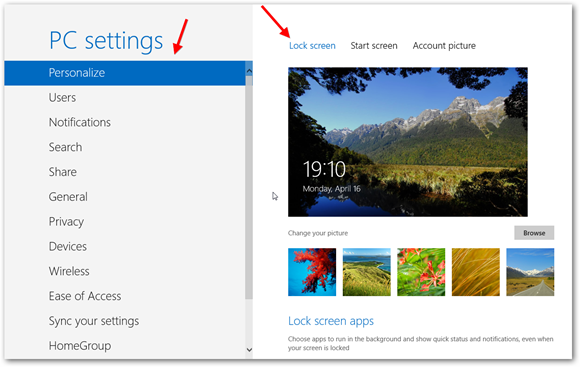 The first thing we are going to look at his how to choose your Windows 8 Lock Screen wallpaper. As you can see from the screenshot below, you can choose from a selection of built-in Wallpapers or you can browse and choose your own from where you’ve saved it. If you choose the browse option you’ll be brought to the file explorer where you can search for an appropriate wallpaper on your computer. Each icon that you see represents a different set of notifications associated with the different applications. For example, the first icon in the screenshot above is for the messenger app. Any notifications that you receive when your computer is locked will appear on your lock screen since you have this activated. Clicking on one of these icons will bring up a menu where you can choose to swap it with another badge, or remove it all together if you want. If you click on one of the plus icons, you’ll be able to add an additional notification badge to your lock screen. Beneath this list of icons, you will also see that there’s a single icon. This allows you to choose an app which will display a more detailed status on the lock screen and is in a more prominent position. The new Start Screen is also easily customizable. To get started on this you will need to make sure you are in the same personalize menu as shown when we were personalizing the Lock Screen. 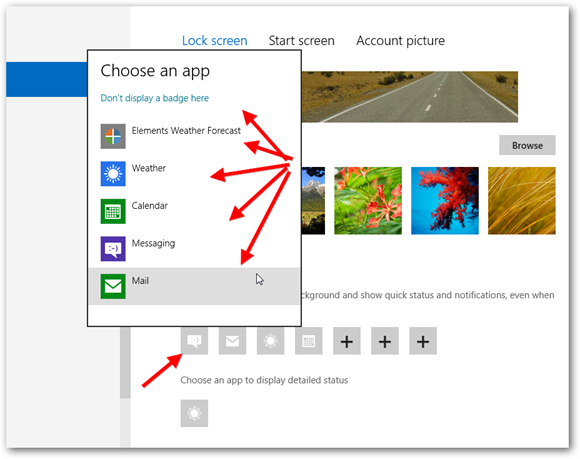 Once you are here select the Start Screen menu as shown below. 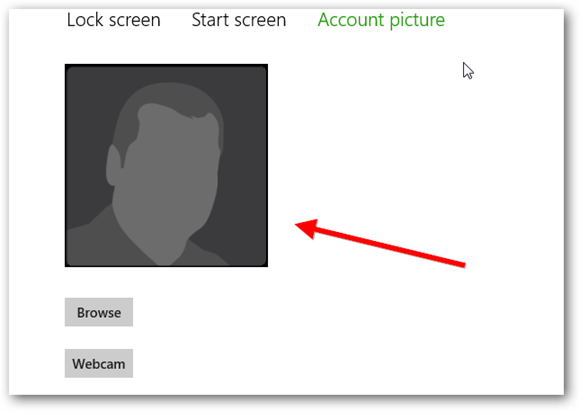 Your account picture is shown when you are logging in and is also constantly shown in the Start Menu. 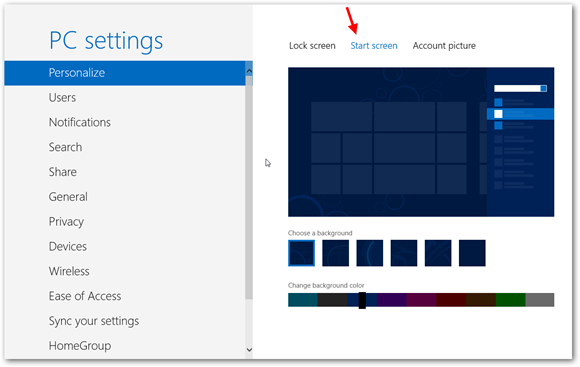 Windows 8 automatically uses the one that you’ve assigned to your Windows Live ID but it’s quite simple to change it. 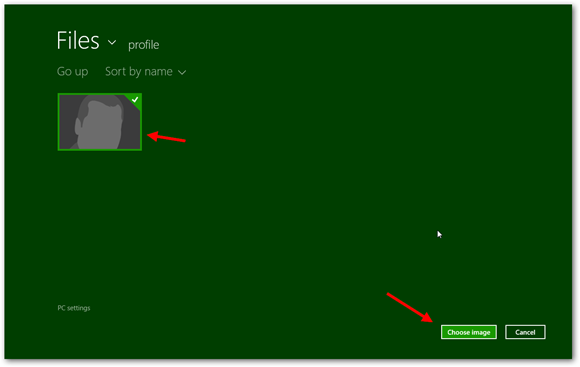 Clicking on browse will let you select a profile picture from Windows 8. 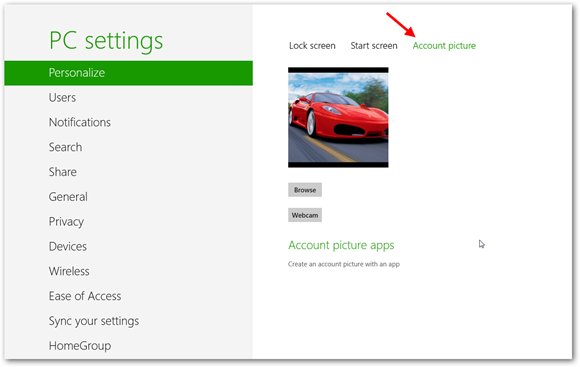 You’ll be able to browse through all your Facebook, SkyDrive and Flickr pictures if you’ve set up those accounts. Alternatively, you can take a new one with your Webcam. If you choose to browse, here is the explorer that you’ll be presented with. The final section we will look at is changing your theme. 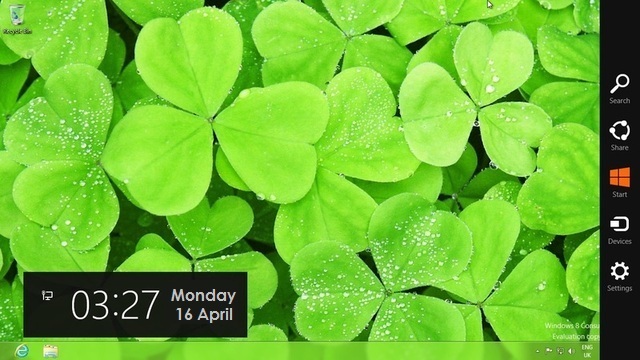 Those of you familiar with Windows 7 will know that the theme you chose is applied across your whole desktop. 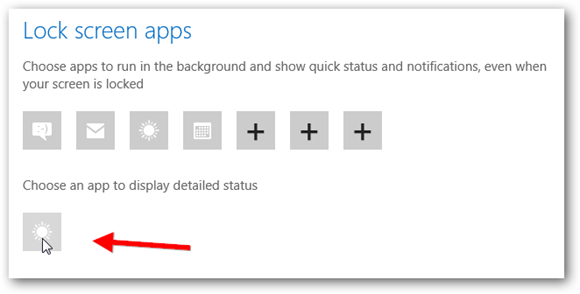 However in Windows 8, because of the new Start Menu based on the Metro UI, it’s only applied to the traditional desktop part of Windows 8 and not to the Metro UI. 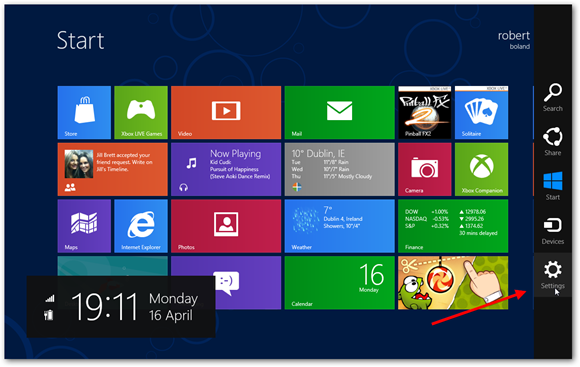 The Windows 8 Themes also bring in quite a few new features. 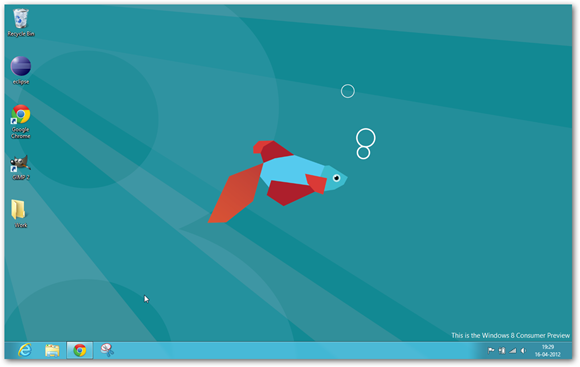 Thankfully, all Windows 7 themes will work with Windows 8 so be sure to check out our extensive collection. 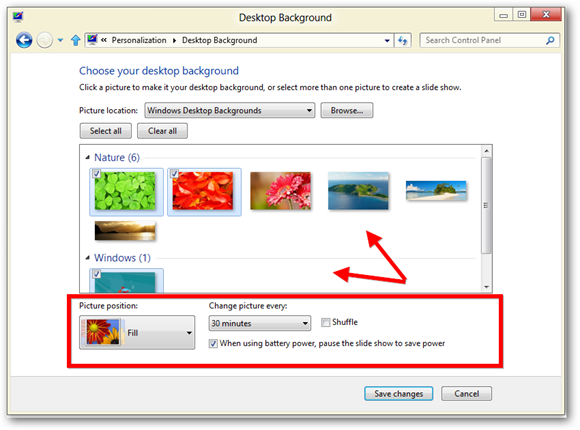 To access the themes you need to navigate back to the traditional Windows desktop as shown below. You can activate a theme be simply clicking on its icon. Down the bottom, you will see a menu that allows you to further customize the backgrounds, color scheme, sounds and the screen saver. You can choose to have several different backgrounds and have them shuffle at a specified time interval if you wish. You can even choose to customize your themes sounds if you wish. 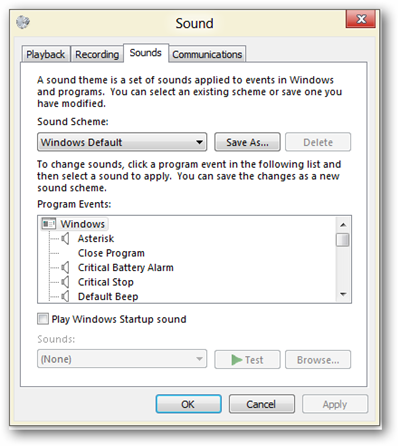 You can disable or enable the sounds for the different notifications as well as change them. The final option allows you to select a screen saver. 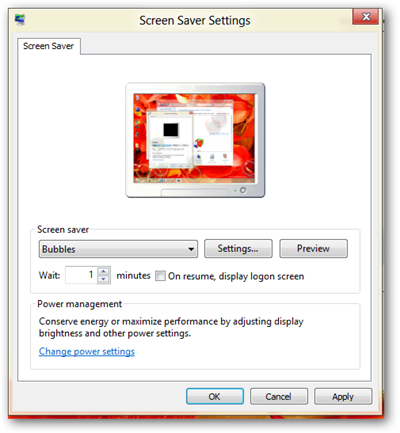 There generally isn’t a screen saver enabled by default as they aren’t really necessary any more these days as most displays tend to just shut down to save power. But if you’d still like to have one you can choose from the list available, or alternatively download one. 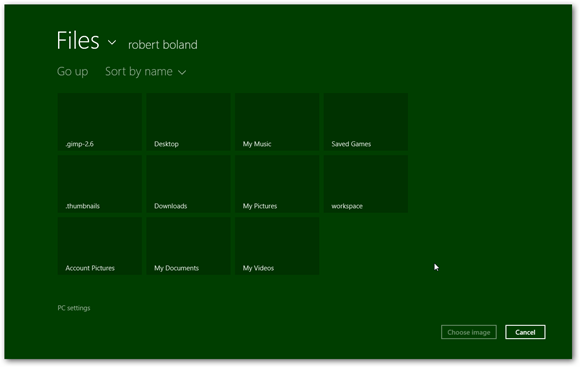 That just about wraps up our extensive guide to personalizing Windows 8. As you can see, now that we have the new Metro UI, there is new personalization options available to us. 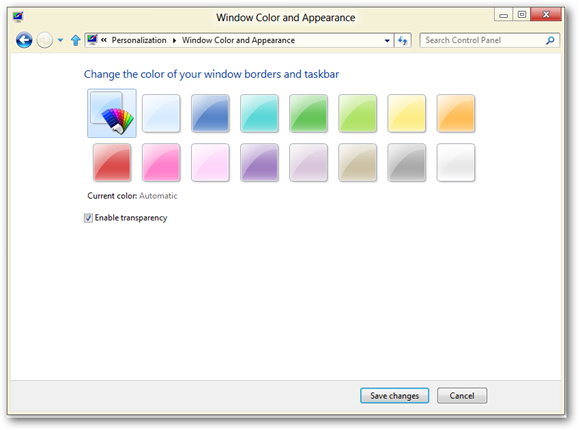 The traditional Windows desktop still retains the use of themes and other options that we’ve become used to using with Windows 7, but the Start Screen has a completely different set of personalization tools for us to use.